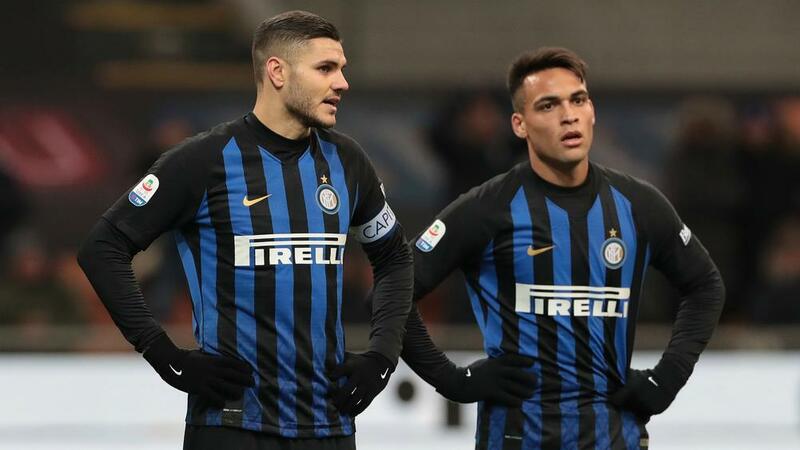 Lautaro Martinez has called for an end to the ongoing stand-off between Inter and former captain Mauro Icardi. Striker Icardi has not played for the club since being stripped of the armband by head coach Luciano Spalletti last month. But despite his absence, Inter climbed to third in Serie A with a thrilling 3-2 win against rivals AC Milan on Sunday. Martinez scored what proved to be the winner from the penalty spot but the Argentina attacker still wants compatriot Icardi back. "The situation is unpleasant, it is not at all nice for both Icardi and the group," Martinez said to TNT Sports. "However, we can only continue to train and play with maximum commitment. "We are employees and, as such, we must always be available to the club, but we hope that everything will be resolved as soon as possible. "Icardi, his entourage and the club will decide. We try to stay focused on our work."